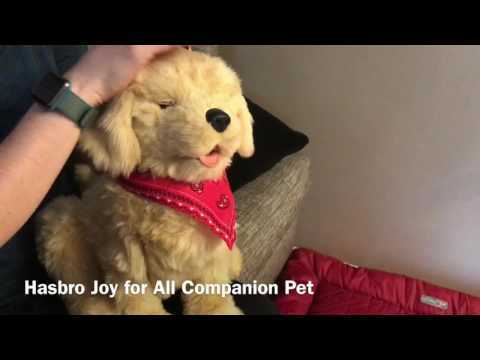 These interactive Companion Pets from Hasbro offer comfort, joy, and an opportunity for shared interaction between people of all ages. Thanks to built-in sensor technology, Companion Pets respond to petting and motion much like the pets you know and love, but don’t require any special care or feeding. The two-way interaction helps create a personally rich experience that can bring fun, joy and friendship to you and your loved ones aged 5 to 105. The Companion Pets offer love, company, friendship and won’t chew up your slippers!